Breeze through the AutoCAD[registered] 2005 learning process using the tutorials and lessons provided on this innovative DVD set! The coverage begins with general AutoCAD[registered] concepts and progresses to develop drafting skills in both the mechanical and architectural disciplines. Users will explore integrated projects such as the elevation of a house and the design of a bat and spatula through step-by-step instruction that showcases the power of AutoCAD[registered]. 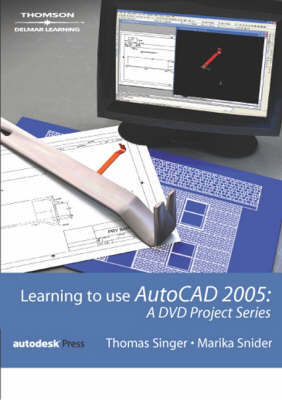 The first DVD features more than four hours of 2D tutorials aimed at guiding viewers easily through fundamental design concepts and command sequences, while the second DVD offers two hours of valuable instruction on the 3D capabilities of AutoCAD[registered] 2005.